TikiMan’s Hawaiian Shave Ice is a perfectly sweet, light and fluffy ice dessert with delicious on-point syrup flavors evenly formulated onto the shave ice. Our flavored syrups have NO additives, preservatives or contain high fructose corn syrup. Our tiki sweet cream sauce is a sweet milky cream flavor topping that nicely compliments our shave ice. There are also a variety of toppings to choose from to entice your timid palate (please see ‘tiki flavor’ tab on our webpage). We are a passionate catering company that specializes in serving authentic Hawaiian Shave Ice for private events including birthday parties, Luau’s, weddings, graduation parties, corporate events, and general celebrations. we celebrate small gatherings to large festivities (50 to 20,000 people). TikiMan Hawaiian Shave Ice proudly serves the finest Hawaiian shave ice in Southern California since 2009. We became immensely popular and known for our authentic Hawaiian shave ice when only catering at our closest family and friends’ parties in the past. Our family’s friends and friends-of-a-friend were then discovering our shave ice and have been spreading to the SoCal locals like wildfire. Since then, we recently decided to share our Hawaiian treat to the rest of the world by newly catering and serving to areas including: Inland Empire, San Bernardino, Orange and certain parts of Los Angeles counties. 1. Quality. We utilize only the top quality of items and materials to make our Hawaiian concoction of goodness. 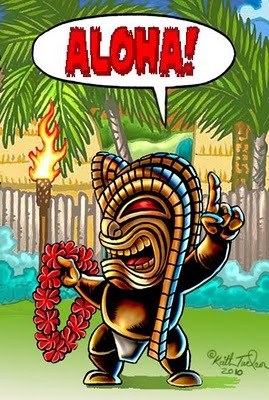 most of our items are imported from hawaii! 2. Quantity. TikiMan says that there is enough shave ice for the world, so we are not greedy with our mountain mother-load. 3. Taste. Our fruity and non-fruity syrups are on point and exact with its’ specified flavors. Try our red velvet shave ice and you will see why. Our fruit toppings are prepared freshly on the date of your event, so you will only taste the freshest fruits. Our shave ice is thinly shaved into the fluffiest and lightest shave ice so you can experience the true taste of tropical or non-tropical flavors. 4. Our shave ice machine is National Sanitation Foundation (NSF) certified and ensures compliance with health and safety standards. Our shave ice machine is rated as top quality, which produces the finest ice unlike snow cone machines.